Welcome! I hope you enjoy exploring my website and the many stories in my blog about the history of Minnesota’s early resorts and tourism. 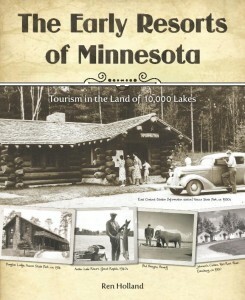 Individuals may order my most recent book, The Early Resorts of Minnesota, by clicking on the cover to the right. Booksellers can order this book at Itasca Books Distribution and Fulfillment, Ingram, or Baker & Taylor.